History alumnus and Loyola Board of Trustees Member Sean O’Keefe ’77, H’03, has held many enviable dream jobs throughout his career, as well as faced horrific nightmares. Through it all, he has demonstrated an unwavering spirit, modeled after that of his mother, while navigating the ups and downs in his life. O’Keefe’s parents were both born and raised in New Orleans, but growing up, his family moved around the country due to his father’s career as a U.S. Navy submarine engineer. But, New Orleans was always the place the O’Keefes came back to (mainly to visit family), and en route to his father’s duty stations roughly every two years. When it was time for O’Keefe to choose a college, Loyola was the only choice for him. “In my mind, there was one university, and then there were all the others,” he says with a smile. Of course, his family influenced his decision as well. His grandfather, Arthur, J.D. ’23; uncle, Arthur ’45; uncle, Michael, J.D. ’55; aunt, Beverly Carlin ’48, M.S. ’63; and his brother, Patrick ’72, J.D.’75, were already alumni, and his sister, Kathleen ’84, followed in the family’s footsteps later as well. It was at Loyola that O’Keefe learned valuable lessons that would later guide his life. Loyola political science professor Stan Makielski helped guide O’Keefe to the selection of the Maxwell School of Citizenship and Public Affairs at Syracuse University for graduate study in the field of public administration. After earning a master’s degree from Syracuse in 1978, O’Keefe’s life of public service began upon his selection as a presidential management intern. Soon after completing the internship, he served on the United States Senate Committee on Appropriations staff for eight years and was staff director of the Defense Appropriations Subcommittee. His first presidential appointment in 1989 was to serve as comptroller and chief financial officer of the Department of Defense, followed by a second appointment as secretary of the Navy in 1992 by President George H.W. Bush. As secretary of the Navy, O’Keefe encountered the first of what would be many challenges in his career. Taking over in the wake of the Tailhook sexual harassment scandal, he oversaw a thorough investigation that led to significant cultural and policy changes within the naval services. From 1993 – 1996, O’Keefe served as a professor of business administration and assistant to the senior vice president for research and dean of the Graduate School at Pennsylvania State University. From 1996 – 2001, he was an endowed chair professor of business and government policy at his graduate alma mater, the Syracuse Maxwell School. Concurrently, he served as the director of National Security Studies, a partnership of Syracuse University and Johns Hopkins University for delivery of executive education programs. “The opportunity to come back to the Maxwell School years later, to join the faculty and teach at that level, was a dream come true. This experience was probably one of the most significant stages of my personal and professional life,” notes O’Keefe. In 1998, he co-authored “The Defense Industry in the Post-Cold War Era: Corporate Strategies and Public Policy Perspectives,” and he was a contributing author for Keeping the Edge: Managing Defense for the Future (2000). 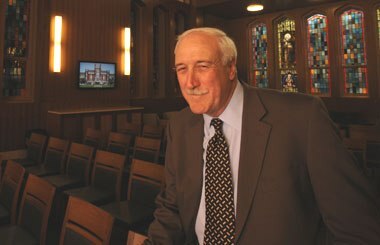 In 2003, O’Keefe delivered the commencement address at Loyola and was awarded an Honorary Doctorate of Humane Letters. O’Keefe enjoyed his time spent in academia, but he was once again drawn into public service in 2001 when President George W. Bush appointed him deputy director of the White House Office of Management and Budget, and assistant to the president. A year later, the president appointed O’Keefe the administrator of NASA. He was initially criticized for having no formal training in science or engineering, but his prior leadership experiences and management expertise balancing budgets made him an ideal candidate, and during his tenure, he brought spending on the International Space Station under control and completed its construction. Similarly, the management resolve to maintain milestone objectives and focus on cost led to the remarkable accomplishments of the third Hubble telescope repair mission and the successful landing of the two exploration rovers Spirit and Opportunity that continue operations to this day. But, his tenure was marked by both triumph and tragedy. In 2003, the Space Shuttle Columbia tragedy occurred on his watch. Once again, O’Keefe relied on the life lessons he had learned, steered NASA through the crisis, and helped initiate reform within the organization. “The resolve we adopted that tragic day was to find out what happened, go fix it, and then rededicate ourselves to the human passion for exploration that the Columbia crew had given their lives to achieving. Their spirit lives on,” says O’Keefe. Departing NASA in 2005, O’Keefe, fulfilling the dream of many Louisianans, returned to his home state when he was appointed chancellor of the Louisiana State University. Once again, O’Keefe’s appointment drew criticism, this time due to his extensive experience in government rather than academia. Never one to back down from a challenge, O’Keefe met his critics head on, and is credited for attracting better students and faculty, steering a path to the first tier of national academic achievement, increasing annual grants and giving, and conducting the Forever LSU capital campaign, the largest and most successful fund-raising campaign in LSU’s history. It was also under O’Keefe’s leadership that LSU was instrumental in the recovery efforts in the aftermath of Hurricane Katrina as thousands of Louisianans came to the LSU campus for refuge, medical treatment, and support. “Our contributions at LSU during that really critical period of months after Hurricane Katrina were in many respects the ultimate in public service—bringing people in, treating folks in medical facilities, working to help people whose lives had been completely changed. Katrina was a natural disaster of epic proportion. But in that time, ‘the better angels of our nature’ were at LSU as Louisianans helped each other,” he says. Following his tenure at LSU, O’Keefe was selected as a corporate officer of the General Electric Company in the Technology Infrastructure sector, working with the GE Aviation business producing aircraft engines. It was from GE that he was recruited to the position he holds today, chairman of the board and chief executive officer of EADS North America, the U.S. subsidiary of the global EADS Group, the largest aerospace company in the world. His duties consist of directing EADS activities in the U.S., developing strategic partnerships with U.S. companies, and enhancing the competition of EADS in the U.S. marketplace, including the development, growth, and management of large-scale defense acquisition programs. Globally, EADS is the parent company of some of the most recognized brands in the international aerospace and defense sector, such as Airbus, Eurocopter, Cassidian, and Astrium. Though he had faced and overcome many obstacles in his career, on August 9, 2010, O’Keefe encountered the biggest challenge of his life. While flying to a remote fishing camp in southwest Alaska with his son and several friends, the plane inexplicably crashed into a mountain. O’Keefe’s longtime mentor and friend, former U.S. Sen. Ted Stevens of Alaska, and four others were killed in the tragic incident. O’Keefe and his son, Kevin, were among the four survivors. The greatest influence on O’Keefe’s life has been his parents. 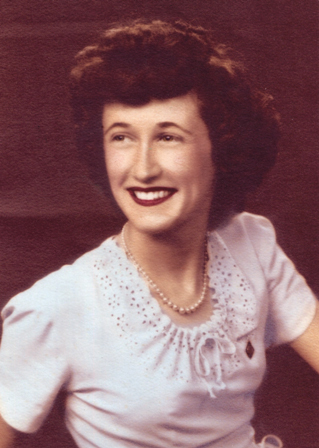 His mother, the late Patricia Carlin O’Keefe, always displayed compassion and dedication to her family. As a teenager in New Orleans, while her intended soulmate, Patrick O’Keefe, was completing studies at the U.S. Naval Academy, she worked at the Higgins factory building naval landing craft of the kind on display at the WWII Museum in New Orleans. After Patrick was commissioned an officer in the United States Navy, he married “Patsy,” and she became the anchor of the family of five that she often managed alone as he was at sea or deployed. During her life, Patricia became a proud collector of memorabilia on the USS Louisiana, and her memorabilia, and other collections, from the christening and commissioning of the submarine were put on display in April at the Round Table Club in New Orleans. O’Keefe was able to honor his mother one more time with the creation of the Patricia Carlin O’Keefe Distinguished Professorship in History at Loyola. The professorship will allow a faculty member to award stipends to student assistants working on research projects for him or her, thus helping the students pay for their education. O’Keefe’s mother and father were able to pay for his education and that of his siblings. So, he and his wife, Laura, wanted to honor his parents’ hard work and sacrifice, while helping students who may not be as fortunate. Though his life has been filled with many ups and downs, O’Keefe has never given up, and more importantly, he has never been afraid to try. That philosophy, which he has maintained through it all, has served him well. 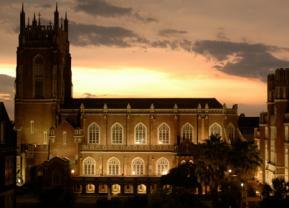 View the complete summer 2012 issue of LOYNO. Submitted by Anonymous (not verified) on Mon, 07/02/2012 - 02:46. Fantastic article about a resounding leader. What a great mentor Mr. O'Keefe would be!